The aim of the 2012 edition of the LISA symposium, held in Paris at the Bibliothéque Nationale de France, was to bring together the community of researchers whose goal is to promote the detection of gravitational waves in space. by the European participants alone and to be compatible with the budget of an ESA large mission with contributions from the participating member states. This led to the proposed eLISA/NGO project within ESA's Cosmic Vision program. 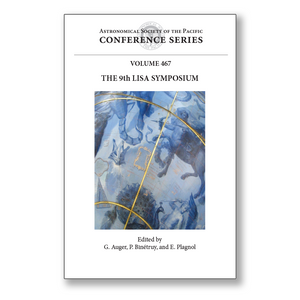 The 9th LISA Symposium was therefore a special occasion for the community to discuss the present situation, the opportunities opened by ESA's decision, and the future participation of the many scientific communities around the world that have expressed their desire to take part in a program that will become reality in the near future with the LISA Pathfinder mission. The many talks during the symposium reflected the remarkable scientific potential of this project: they both justified and explained this enthusiasm.